Lin-Manuel Miranda, composer and creator of the award-winning Broadway musical, Hamilton, offers a message of gratitude after receiving a standing ovation at the ending of the play's premiere held at the Santurce Fine Arts Center, in San Juan, Puerto Rico, Friday, Jan. 11, 2019. Ever since the historical musical "Hamilton" began its march to near-universal infatuation, one group has noticeably withheld its applause — historians. Many academics argue the portrait of Alexander Hamilton, the star of our $10 bills, is a counterfeit. Now they're escalating their fight. Miranda's glowing portrayal of a Hamilton who celebrates open borders — "Immigrants, we get the job done!" — and who denounces slavery has incensed everyone from professors at Harvard to the University of Houston to Rutgers . They argue that Miranda got Hamilton all wrong — the Founding Father wasn't progressive at all, his actual role as a slave owner has been whitewashed and the pro-immigrant figure onstage hides the fact that he was, in fact, an anti-immigration elitist. "It's a fictional rewrite of Hamilton. You can't pick the history facts that you want," said Nancy Isenberg , a professor of American history at Louisiana State University who has written a biography of Aaron Burr and is the author of "White Trash: The 400-Year Untold History of Class in America." It's not just the portrait of Hamilton that has drawn fire. Critics also say Miranda's portrait of Burr is horribly distorted and argue that Hamilton's sister-in-law, Angelica Schuyler, was in no way a feminist, as she is portrayed in the musical. 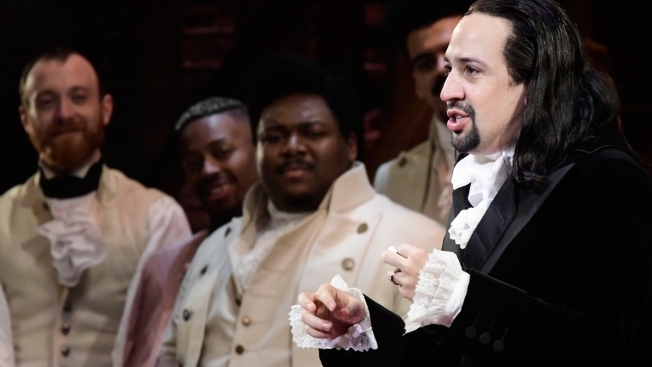 Reed considers "Hamilton" so problematic that even edits to it wouldn't help. "I think the corrective would be to close the show," he said. Harvard Law professor and historian Annette Gordon-Reed, who has criticized the show in the past and is offering her historical consultation for the exhibit. She attended a reading of Reed's play and sounded a hopeful note that both sides can come together.